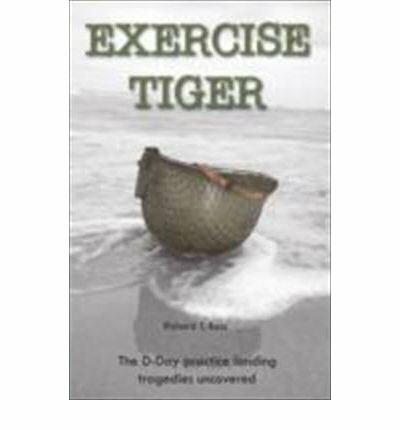 That ‘Exercise Tiger’ turned into a tragedy is almost unbelievable. Even more unbelievable is the possible cover up that, to this day, hangs over the affair and makes it difficult to even ascertain the number of men who died on that fateful night. The tragedy occurred during practice landings for D-Day. Troop from the US Army Assault Training Centre were simulating the proposed landings on Utah beach; Slapton Sands had been chosen due to their similarity to the Normandy site. Chapters cover the background, the exercise, the attack, the casualties, the official reports, and the aftermath. The exercise had already suffered tragedy when a number of casualties had been incurred from ‘friendly fire’ incidents. Live ammunition was being used and communication and co-ordination problems meant that some troops landed whilst the live fire was still in progress. The following day, 28th April 1944, 9 German E-Boats attacked the convoy of landing craft; whilst the German presence had been detected in the area, crucially this had not been passed on o those taking part in the practice. The attack is documented from the German, American, and British perspectives, using eyewitness and survivor accounts to paint a picture of the chaos and confusion that ensued. Casualties vary from 749 to nearly one thousand; the author of this book estimates it could have actually been as many as 1,500. The author believes the attack was covered up by the American military due to its proximity to D-Day, and that this has compounded a true estimation of the number of deaths that occurred that night. The amount of research that has gone into the book is evident in the appendices, covering 100 pages of documents, orders, and information about the exercise. It makes for very sober reading; the only positive is that some of the lessons learnt from the tragedy led to changes to the D-Day plans.